Veterans residing in Cumberland County may apply for a Veteran’s Vendor License. 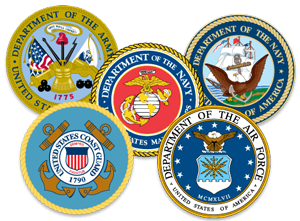 You must have an Honorable discharge, apply in person at the Clerk’s Office or our Satellite office locations. Make sure to bring your DD-214 discharge papers and proof of Cumberland County residency. Once your application is approved by the New Jersey Department of Veterans Affairs, you will be notified by our office to complete the step for a Peddler License. There is no charge for this service. Veterans can register their DD-214 discharge papers with the County Clerk’s Office. Registering this form affords the veteran the security of knowing that his/her records are permanently recorded. A Veteran who records his/her DD-214 will receive a Veteran ID Card which shows the Veteran’s name, address, and file number of their recorded DD-214. This service is free of charge to all honorably discharged Cumberland County Veterans. If you have any questions regarding these services, please call the Clerk’s Office at (856) 453-4860. 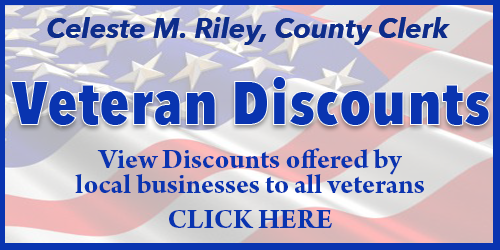 If you are a business owner in Cumberland County, please consider giving our veterans a discount to show your appreciation of their service to our country, as well as, to thank them for serving. Through your contribution you will be helping us to continue our mission to reach out to every military veteran in Cumberland County. If you are interested in being listed on our web site as a participating business, please fill out the the Veterans Discount Prg Application and return it to our office. Thank you for helping make Cumberland County a great place to live for the men and women who have served our country.